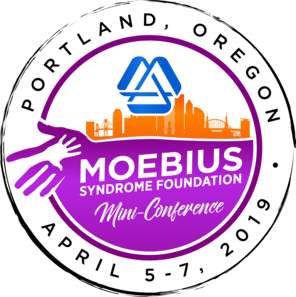 The Moebius Syndrome Foundation, the nation’s largest organization dedicated to providing information and support to individuals with Moebius syndrome, is hosting its 1st Mini-Conference in Portland, Oregon, April 5-7, 2019. This is an exciting new venture with a goal of bringing a taste of the national conference to families and individuals across the nation. These small meetings will be more affordable and accessible to many, and we are proud to be able to support these important events. Mini-Conferences will be held in different locations, on the odd years from the national conferences. They will focus on support for families and individuals with Moebius syndrome, education, social activities, and some research opportunities. We invite you to join us. While registering, please note that other family members are considered "Guests" on the registration form. Once registration is complete, the original registrant may return and edit any of their selections until March 15, 2019.